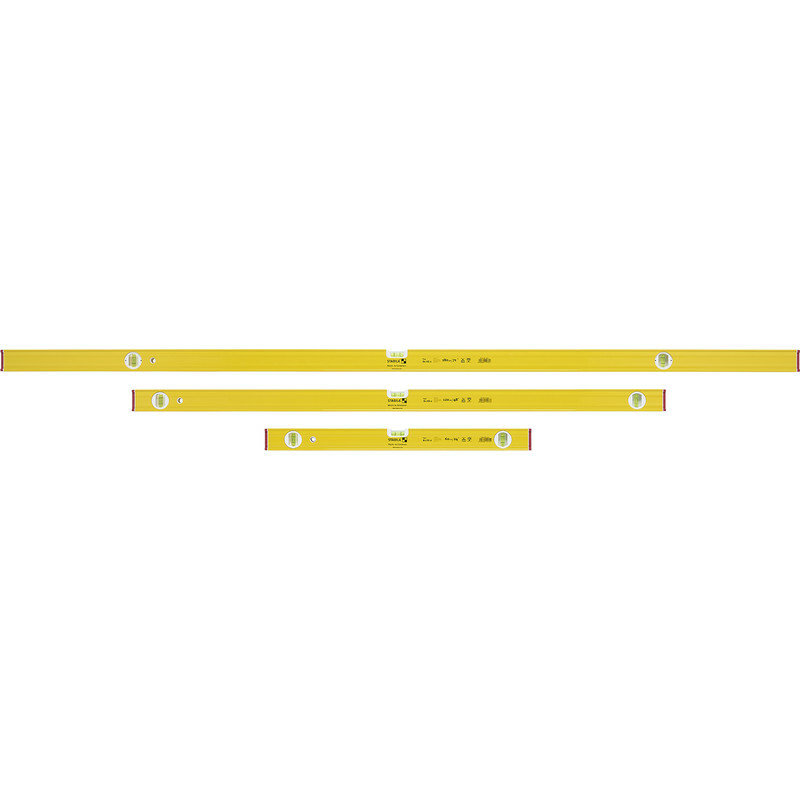 Stabila 3-level set containing 600mm, 1200mm and 1800mm reinforced aluminium rectangular profile levels. All feature one horizontal, two vertical vials and rubberised end caps to prevent slipping and to reduce shock when dropped. Vials accurate to 0.5mm per metre (0.029° = 0.5mm/m) in normal working position, and will remain accurate for 10 years.